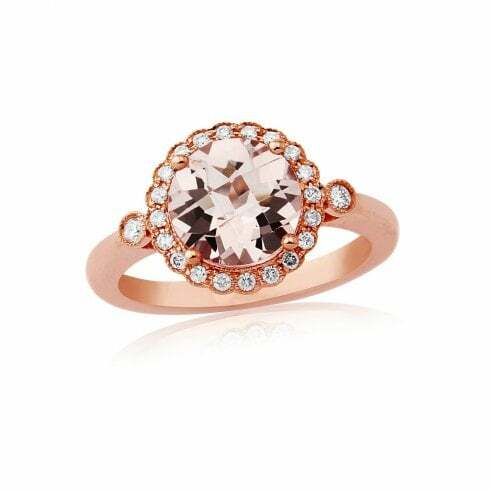 Fabulous ring, featuring a round cut morganite centre stone with a halo of brilliant cut diamonds and completed with two diamonds on the shoulders of the ring. 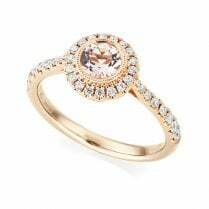 This is enhanced further by the vintage inspired millgrain edge whilst the peach hue of the morganite is complemented perfectly by the warm colour of the rose gold. 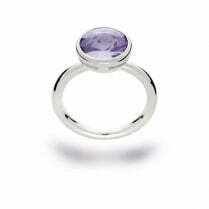 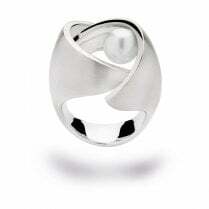 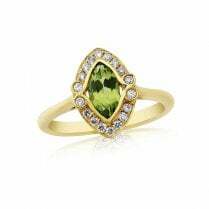 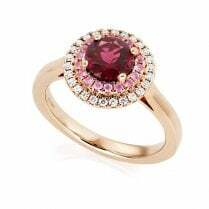 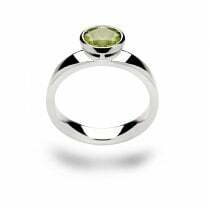 If you would like to order this ring in a particular size please contact us by phone, email or visit us in store.